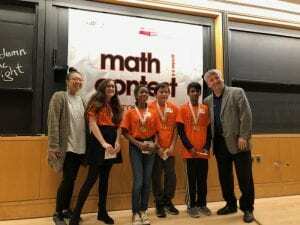 Kaiyu P., Umar M., Claire P., Karly R., and Jacqueline Y. participated in the annual iLearn Math Contest at Princeton University on Saturday, November 3, 2018. Students competed individually and as a team to take home the second place trophy. 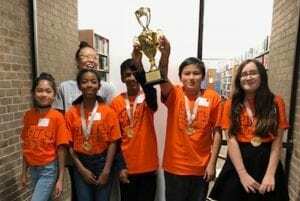 The team’s hard work and dedication, led by Math Enrichment Coordinator Ms. Alice Yoon, helped to improve last year’s third place finish. Ms. Yoon explains that the team worked well together to display their outstanding math knowledge and is very proud of her students for their accomplishments.